Life unfolds according to the stories we tell ourselves, the stories we’ve embraced, and stories that have been passed down for generations—stories we’re often not aware we’re carrying. Liz helps clients transform their lives by recognizing and changing those stories. Her skills guide them to make the energetic and lifestyle changes necessary to create and maintain optimal well-being. Clients contact her because they’re feeling stuck, going through major life transitions, or feeling unfulfilled. Liz’s practices help them discover their gifts, create meaning in their lives, and step towards their fullest potential. Her approach blends wisdom from her background as a Registered Nurse and Corporate Human Resources Professional. Most most recently, she’s added training as a Certified Practitioner in Luminous Healing and Shamanic Energy Medicine. If you want change, it has to come from within. Liz’s intuition, listening skills, and keen ability to see the big picture and ask the right questions guide clients in their own inner journey to answers. She creates a safe and sacred space for you to explore, recognize, and overcome the patterns that hold you back. That frees you to do what you really want with your life—whether that’s learning to ride a motorcycle, making a life change, or living your dream. 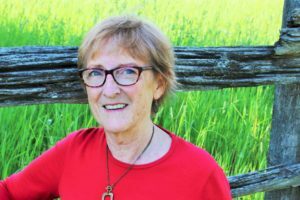 She’s applied her personal insights in her latest book, Crash Landing, The Long Road Home, exploring how the experiences of our ancestors shape us. Or, who we are before we’re told who we are. And how we move forward into a life where we are of greatest service and each moment has meaning. To schedule a complimentary 15-minute phone consultation or book an onsite or virtual appointment, contact her at liz@lizjansen.com.